Captain Britain, fresh off his excitingly long and dynamically boring adventure with Captain America and Nick Fury, does the next logical thing: he fights a RoboHawk, travels through time and space for no reason, and fights a guy with a monocle. If you read it, you’re only hurting yourself. 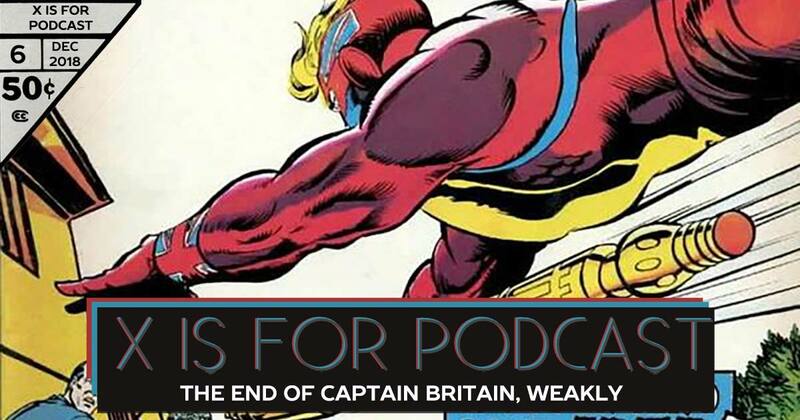 Join us for the conclusion of this run (and the beginning of the other-people’s-titles era) with Captain Britain Weekly 28-39 and Super Spider-Man and Captain Britain 231-232! X is for Podcast #002 – The Champions! But Does Anyone Really Win?